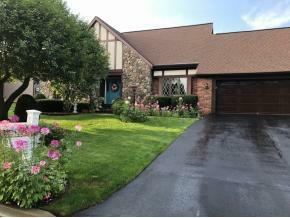 Beautiful 4 bedroom 2.5 bath Two Story Tudor For Sale! Immaculately maintained. Fenced-in backyard with in-ground pool, hot tub included, 2 Trex Decks and shed. Contains several updates including: basement area, tankless water heater, brand new carpet throughout second level. Master Bathroom completely renovated with walk-in shower. Owner is related to licensee. Contact Matt @ 607-727-7915. Union Endicott High School High School / Public 6 2.97 mi. George F Johnson Elementary School * Elementary School / Public 4 0.91 mi. Homer Brink School * Elementary School / Public 5 1.88 mi. Linnaeus W West School * Elementary School, Middle School, High School / Public N/A 2.51 mi. Maine Endwell Middle School * Middle School / Public 7 0.79 mi. Maine Endwell Senior High School * High School / Public 8 1.14 mi. 2623 Mill Glen, Endicott, NY 13760 is a 4 bedroom, 2.5 bath single family home was sold for $252,000.